Congressional investigators looking into the origins of Special Counsel Mueller's Russia probe believe they've found a smoking gun that could justify the appointment of a special counsel to investigate whether the Obama administration exerted undue influence over the FBI. 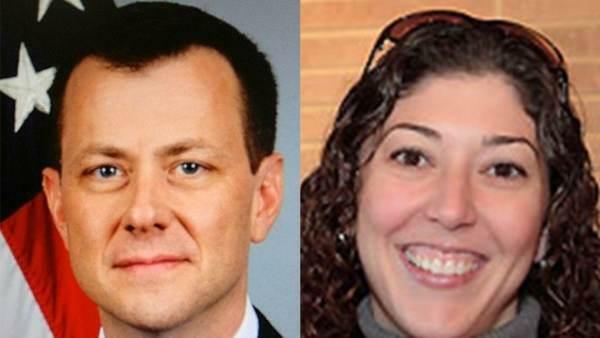 The investigators who leaked the information to Fox said the texts between Strzok and Page "strongly" suggest coordination between the White House, two independent intelligence agencies, and a Democratic Congressional leader. That would "contradict" the Obama administration's claims of non-involvement. The texts tell of former Deputy FBI Director Andrew McCabe being concerned with "information control," and suggest a plot to leak details of the FBI's incipient investigation to both the White House and Reid. Brennan also became involved in agitating for an investigation, though his agency was supposed to be operationally separate from the FBI. Page texted Strzok on Aug. 2, 2016, saying: "Make sure you can lawfully protect what you sign. Just thinking about congress, foia, etc. You probably know better than me." A text message from Strzok to Page on Aug. 3 described former FBI Deputy Director Andrew McCabe as being concerned with "information control" related to the initial investigation into the Trump campaign. According to a report from the New York Times, Brennan was sent to Capitol Hill around the same time to brief members of Congress on the possibility of election interference. Days later, on Aug. 8, 2016, Strzok texted Page: "Internal joint cyber cd intel piece for D, scenesetter for McDonough brief, Trainor [head of FBI cyber division] directed all cyber info be pulled. I’d let Bill and Jim hammer it out first, though it would be best for D to have it before the Wed WH session." In the texts, "D" referred to FBI Director James Comey, and and "McDonough" referred to Chief of Staff Denis McDonough, the GOP investigators said. One of Fox's sources said the information was "concerning" enough to justify launching an independent probe into the FBI's role in launching the Trump investigation. "We are not making conclusions. What we are saying is that the timeline is concerning enough to warrant the appointment of an independent investigator to look at whether or not the Obama White House was involved [in the Trump-Russia investigation]," a GOP congressional source told Fox News. Naturally, coordination between political appointees at the White House and DOJ investigators would cast doubt on the entire Russia probe, Fox's sources said. The following day, Aug. 30, 2016, Strzok texted Page: "Here we go," sending a link to the Times report titled, "Harry Reid Cites Evidence of Russian Tampering in U.S. Vote and seeks FBI inquiry." The texts also detail the Bureau and Brennan's role in feeding information to Reid, which inspired him to write a letter to the FBI demanding an investigation be launched. That letter was later leaked to the press. The Reid letter, Fox said, provided political cover for the bureau when it tried to justify launching an investigation into Trump as early as July 2016. In other words, the FBI was well-versed in how to strategically use "leaks" to manage information control and wash its hands over any potential collusion allegations... with the exception of course of the texts that reveal how the plot was hatched in the first place. One thing is for certain: The texts provide the clearest sign yet into the Obama administration's role in helping get the Russia probe off the ground in an attempt to roadblock Trump's administration, all the while Obama chose to do nothing about reports of Russian attempts at election interference. We imagine we'll hear more about this in the coming days.